We understand that time is money, and it takes time to find the right staff for your business. Recruitment 24/7 can simplify your employment process! Most companies don't mind about the price of a service, as long as that service is exceptional. Traditionally, Labour Hire and Permanent recruitment services are expensive, and with the potential of lacklustre employees, recruitment services are often viewed as not really worth the money. Recruitment 24/7 will change that view. We offer affordable staffing solutions and provide staff that suit the needs of our clients. We provide the highest possible levels of service; and we stand by our results. Rest assured...your money is well spent with us. Recruitment 24/7 strives to achieve excellence in Recruitment. We will achieve this goal delivering quality service across all industry sectors, establishing a respected brand recognised for our corporate values of “Honesty, Integrity and Professionalism”. "As the Managing Director of Recruitment 24/7, I have an enviable track record in Executive, Industrial/ Commercial Recruitment and Labour Hire. I make it my personal goal to achieve only the best outcomes for my clients and candidates. 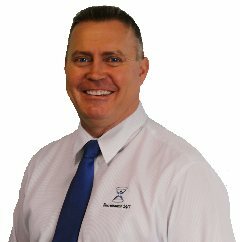 I began my career as a Job Placement Officer with Max Employment, before stepping into a role as a Blue Collar Labour Hire Manager with a prominent Ipswich recruitment agency. It was there that I developed my reputation for recruitment excellence. My passion for recruitment cultivated to the extent that Recruitment 24/7 was established, and I have found that my reputation precedes me. I have strong skills across the employment life-cycle and by drawing on my extensive experience, I have an uncanny ability to secure candidates with the best cultural fit to the operational and technical requirements of a role. I am so confident with my ability to select the right candidates for my clients that I offer a 180 day replacement guarantee on all Permanent Placements. I am committed to ensuring Recruitment 24/7 delivers quality service across all industry sectors and establishing a respected brand recognised for our corporate values of “Honesty, Integrity and Professionalism”.